And from the Main Line Unitarian Church, a new bumper sticker…. From the Lutheran Handbook, Pages 18 and 19. This is from an enjoyable 240-page book from Augsburg Fortress Publishers (April 2005), ISBN #0806651792, and $10 from Amazon.com. We recommend you buy the book. “Getting trapped in an overheated sanctuary is a common churchgoing experience. The key is to minimize your heat gain and electrolyte loss. When possible, scout out the sanctuary ahead of time to locate optimal seating near fans or open windows. Consider where the sun will be during the worship service and avoid sitting under direct sunlight. Bring a bottle of water for each person in your group. Planning to build (or not to)? 1. Before building, do you know how the congregation feels about its future? The Church Planning Inventory from Hartford Seminary solicits 180 multiple-choice responses to either questions or statements. By analyzing the results, a congregation can see the demographics of its memberships, its intent to stay or move on, satisfaction with programs, facilities and ministry – plus a lot more. The Hartford Seminary will sell copies of the inventory at 40 cents each and analyze a returned set for $2.50 per tabulated questionnaire. They also charge a one time administrative fee of $75. To obtain a free copy of their inventory, you can write the Hartford Institute for Religion Research, 77 Sherman Street, Hartford, CT 06105. Their phone is (860) 509-9543 and their email is mross@HARTSEM.EDU. The Hartford Seminary also has inventories for pastoral search and parish profiles. My wife, Joyce, and I consume as few as four kilowatt-hours per day, which is pretty good in comparison to the national average of 27-plus per day. Our average for last year was just over 7. And no, we haven’t thrown the TV out, we don’t keep the house at 50 degrees in the winter, and we love our tropical fish aquarium. We learned from a previous program that congregations generally do not examine their invoices to determine if they are being billed according to the least expensive electric and gas prices. During deregulation, the Pennsylvania Public Utility Commission forced electric utilities to randomly make a number of their customers purchase electricity from other suppliers. It is called the MST program, for Market Share Threshold. As of As of October 1st, there were 19,681 PECO Energy small commercial customers in this program today because they did not choose to return to PECO, down from 62,000 in 2004. At the time MST was ordered, the cost of electricity for the first year may have been lower from some suppliers compared to PECO prices, but that changed. Those suppliers are now charging as much as three times as much as PECO would charge. “We could save up to $400,000 on the electric bill for this building alone. Every year.” That’s what the man said. I better get this right up top: I’m writing about some Smithsonian scientists who have shown that museums and galleries are spending far too much money on climate control. Photographs, old planes, bones, rare bugs and what have you are much tougher than we thought. That’s the short version. It was not easy to come by. I had no trouble finding the Conservation Analytical Laboratory Research Group at the Smithsonian’s sprawling Museum Support Center at Suitland, Maryland, but the scientists themselves were another story. They spoke a language of numbers, acronyms, graphs and formulas that made me yearn for the simplicity of E=mc2. Slowly I began to make out what they were telling me. For Clergy, Maintenance, Property, Office Boards and events personnel who purchase and use products for places of worship. 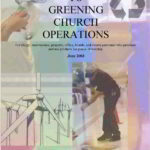 This 15 page pamphlet provides information for places of worship to help them reduce the environmental and resource impacts of the supplies they typically purchase and use. The activities covered in this pamphlet encompass both internal and external care and supplies for the place of worship. Resource information is provided as guidance. 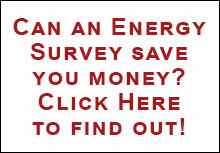 Consideration and environmental goals, cost, and convenience must be weighed in making the right choice. Installation of protective glazing is very popular on religious buildings for storm protection and security. However, a recent study shows that improperly designed secondary glazing cab cause more problems than it cures. Neal Vogel, Inspired Partnerships, Chicago Ill. stated “The vast majority of U.S. Churches have protective glazing (PG) today, yet a recent study proves that it causes serious damage to stained-glass windows nationwide by increasing condensation and heat build-up in the airspace, and preventing routine maintenance.